Undeniably, watch-making has tended to be a male dominated area - but not so at Ebel, which was built on the twin pillars of masculine and feminine values and qualities. Khaki, beige, brown, coral, navy blue ... A new range of colors for a sports watch that knows how to stay stylish and accessible price. 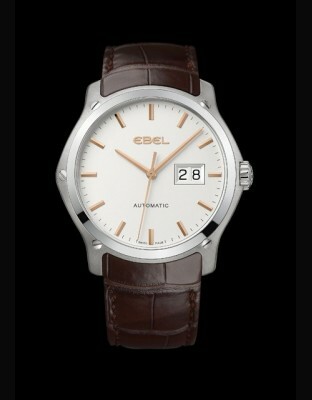 Certainly it is a quartz model, but it is a great way to wear an Ebel. The first Architects of Time, who laid the company foundations on July 15, 1911, were a man and a woman, partners in life and in business. Settled in La Chaux-de-Fonds, one of the major centers of Swiss watch-making, Eugène Blum and Alice Lévy decided to seal their destinies in an entirely novel way. The name of the watch- making firm they established symbolized its unique origins in the fusion of two outstanding personalities: EBEL - an acronym of the initials "Eugène Blum Et Lévy". The couple's complementary talents and interests were to shape the corporate spirit. Eugène dealt with the technical side of brand development, emphasizing precision, expertise and quality while Alice focused on the aesthetic aspects of Ebel watches, insisting on elegance and sensuality of design. 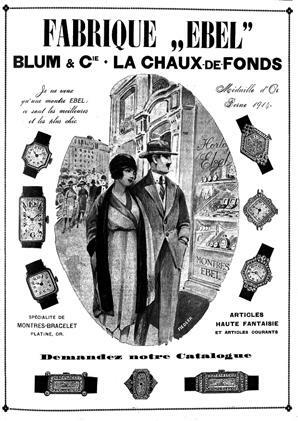 Their shared concern and flair for details led them to lavish meticulously skilled care on their entire product range, from exquisitely feminine jewelry models and Haute Joaillerie creations, to refined men's timepieces that were making the epochal transition from the pocket-watch to elegant wristwatches. 1911 : Foundation of Ebel by Eugène Blum and Alice Levy on July 15, 1911. 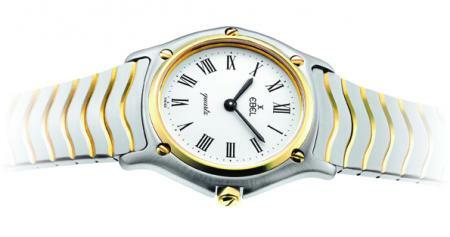 1912 : Launch of the first Ebel wristwatch. 1914 : Gold Medal at the National Exhibition in Bern for patented Ebel ring watches. From the very beginning, Alice Levy took Ebel into the universe of Haute Joaillerie. The dual inspiration of Alice and Eugène Blum gave Ebel unrivalled dynamism and an exceptional ability to create refined and reliable watches, which inevitably drew attention and honors. The founders' son, Charles Blum, worked to hone the brand's competitive edge while creating a production facility capable of selling its movements to other internationally famous brands. Uncompromising quality was already seen as the key to success within a demanding profession, and Ebel illustrated its dedication to this fundamental value in 1935 by becoming the first Swiss watch company to use the Western Electric System. This invention, a precursor of the Vibrograph, was the first device capable of accurately measuring and testing rating precision. 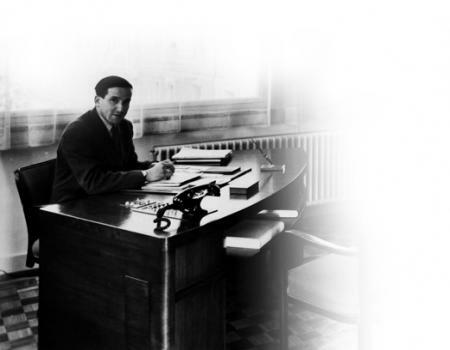 As part of the same drive for perfection, admirably promoted by the highly talented watchmaker Marcel Reuche, Ebel encouraged the creation of the "Controle Technique des Montres" (CTM) in 1957, involving stringent customs controls that guaranteed Swiss watch- making precision throughout the world. The CTM also made a significant contribution to enhancing the quality control criteria of the Swiss Official Chronometer Testing Institute (COSC), the official body conferring the certification that continues today to represent a prestigious assurance of accuracy and reliability. 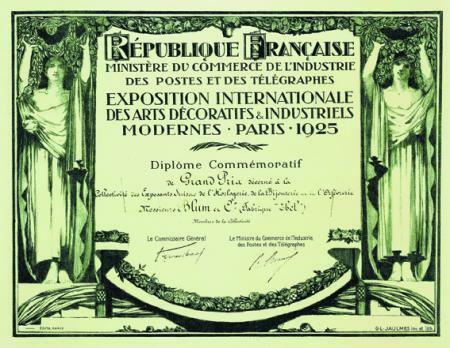 1925 : Grand Prize at the Exhibition of Decorative Arts in Paris. 1929 : Heir to the Western Electric System, the Vibrograph accurately tests and measures a movement's precision. Charles Blum, the founders' son, joins the company. He will be instrumental in developing the brand's excellence in quality and precision. 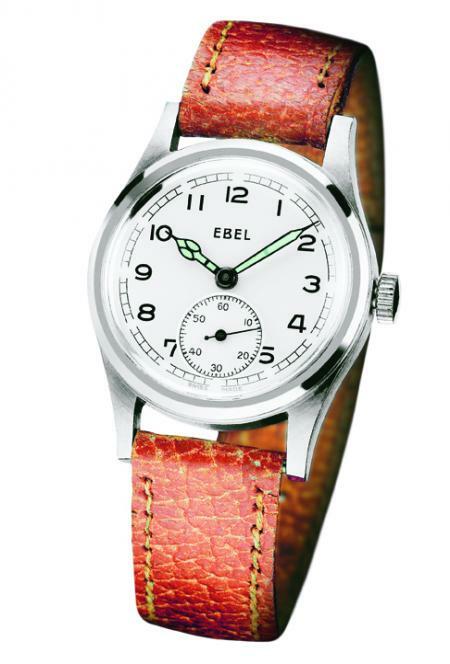 1935 : Ebel becomes the first Swiss watchmaker to introduce the "Western Electric" precision and quality control standards. 1939 - 45 : Ebel serves as official watch supplier to the Royal Air Force (British Army). 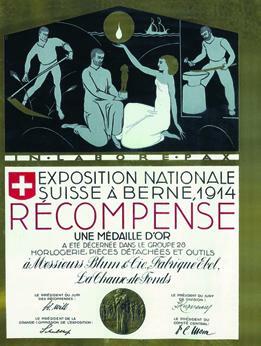 1964 : Swiss National Exhibition in Lausanne: Grand Prize for the Lune Etoilée watch. The consistent excellence and inventive design cultivated by Ebel deserved to resonate far beyond the borders of Switzerland and Europe. 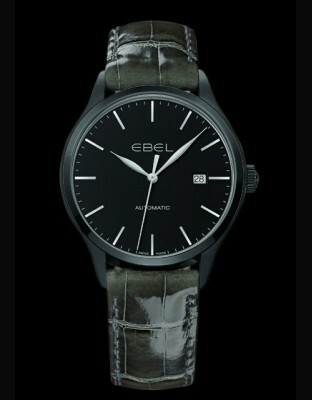 During World War II, Ebel became the main supplier of watches to the British Army, which provided eloquent testimony to the strength of the reputation it was so patiently and carefully establishing. Ebel definitely took the path of international business when Pierre-Alain Blum, called back from his career in the United States by his father Charles Blum, was at the head of the company. His strong personality, pioneering spirit and visionary impetus were to raise Ebel to new heights within the international luxury world, helping the brand to achieve spectacular development. In step with this growing global awareness, Ebel's distribution network was broadened accordingly to encompass an ever- larger number of points of sale representing the Architects of Time around the world. Gaining a foothold and increasingly well established on all five continents, the brand became a symbol of aspiration for countless people who dreamed of being gifted an Ebel watch. 1970s : Pierre-Alain Blum, Charles' son, joins the company. 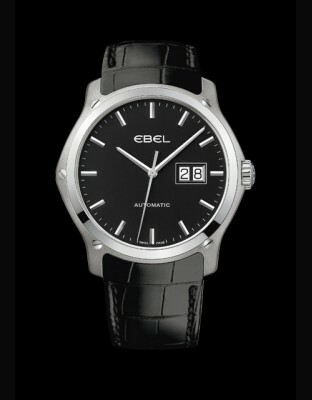 Under his charismatic leadership, Ebel becomes a world reference in watch-making. 1982 - 1990 : Ebel is the title sponsor of many sport competitions such as the Ebel European Masters in Crans-Montana, the Davis Cup and various other ATP tournaments. Convinced of the powerful impact of sports on brand image, The Architects of Time invested considerably during the 1980s and 1990s in raising global awareness of Ebel through sponsoring prestigious events such as the Monte Carlo Tennis Open, the Davis Cup tennis championship and the Swiss Open European Masters golf championship. They also enlisted the endorsement of wellknown brand ambassadors from the worlds of sport (Yannick Noah, Stefan Edberg and Colin Montgomerie) and entertainment (including Madonna and Dennis Hopper). Demonstrating a parallel commitment to the arts, represented by such talented figures as Barbara Hendricks, Ebel also established a distinguished presence in cultural circles. 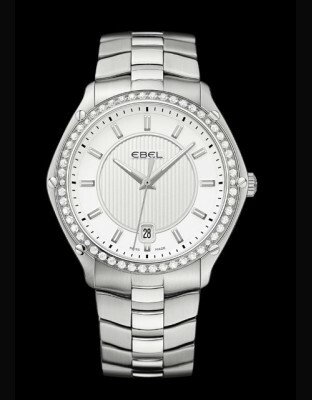 Pierre-Alain Blum acted forcefully on his conviction that Ebel must offer contemporary watches with timeless charisma. 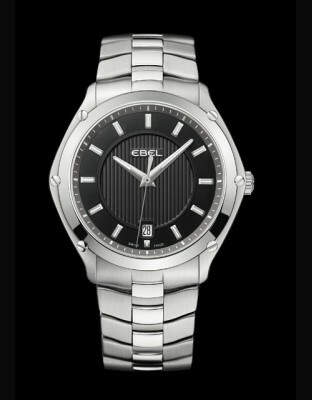 He introduced the Sport Classic collection in 1977 with its inimitable Wave bracelet and fully integrated case, a "revolutionary" design with which Ebel would become definitively associated. This iconic collection was to achieve unprecedented public success and to generate a lasting fascination for two-tone steel and gold watches. Subsequent major launches of still existing collections were to follow, including Beluga and 1911 Chronograph. After a decade of quartz supremacy, Ebel's president became convinced that mechanical watches would have a new key role to play in the watch-making universe. Therefore, The Architects of Time started to use mechanical movements in their watches and to develop their own calibers, such as Caliber 137 launched for the very first time in 1995 and housed within the 1911 collection. Thanks to this potent combination of a distinctive approach to product design and the quest for technological mastery, Ebel gained international recognition in the watch-making field. 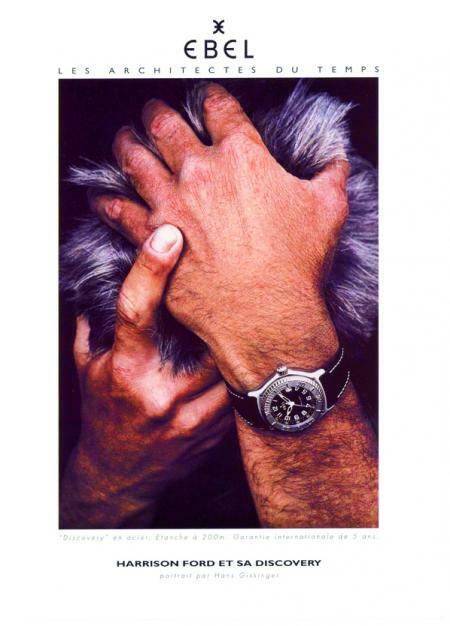 1977 : Launch of the emblematic Sport Classic collection. 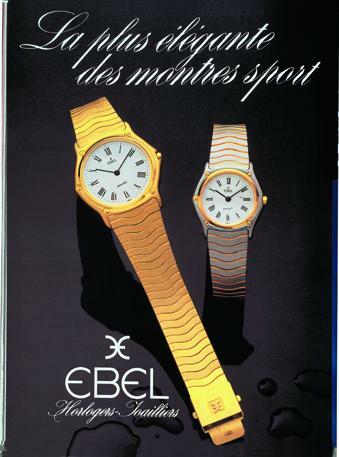 1982 : Ebel relaunches the trend for automatic chronograph with the Chrono-Sport featuring the Ebel Caliber 134. 1984 : Launch of the Perpetual Calendar Chronograph. 1985 : Launch of the Beluga collection exclusively in gold. 1986 : 75th Anniversary of Ebel : Ebel acquires and renovates the Villa Turque, built in La Chaux-de Fonds in 1917 by Le Corbusier. 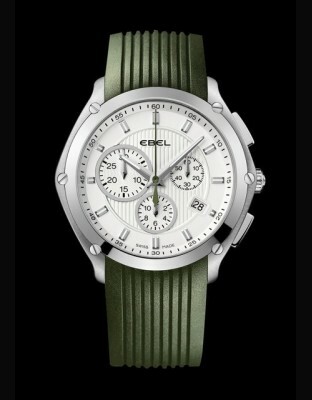 1995 : Launch of the Automatic Chronograph Ebel Caliber 137. 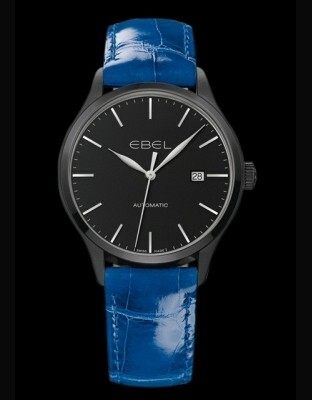 As Ebel heads confidently towards its centenary, the essential brand values remain unchanged: classic elegance, sculptural lines, smoothly sensual shapes, traditional fine craftsmanship and undeniable watchmaking expertise have been both faithfully preserved and effectively reinterpreted. The signature designs on which The Architects of Time founded their success have been rejuvenated, alongside the extension of the range through exciting new models that form an unmistakably contemporary and innovative collection. Over the past five years, Ebel has developed four new proprietary movements within its workshops, thereby reviving and reinforcing its historically proven competence in the field of mechanical horology. Moreover, to express its multi-faceted appeal and convey its core values, Ebel has also built up a strong communication platform entirely in harmony with the DNA of the Architects of Time. To achieve this, it has opted to work with world-renowned personalities representing the epitome of elegance and sophistication, such as super model Gisele Bündchen. Further, broadening its appeal to encompass the most truly global sport of all and its most prestigious exponents, Ebel has become one of the first luxury watch brands to partner with top-class football clubs such as Arsenal and FC Bayern Munich, with which it shares a number of important values including respect for a noble heritage and dedication to perfecting their craft. 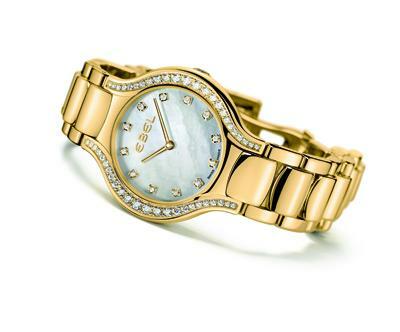 2001 : Ebel re-launches its activities in the Haute Joaillerie segment, offering a glittering universe of precious materials and exclusive refinement. 2006 : Advertising campaign featuring Gisele, the new face of Ebel. Launch of the Brasilia collection. Launch of the 1911 BTR collection. 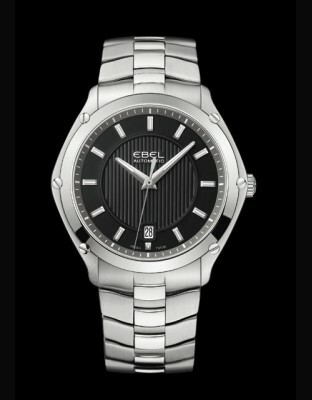 2007 : Launch of the Ebel Classic Hexagon collection. Ebel UK becomes the Official Timing Partner for Arsenal Football Club. 2008 : Launch of the new Beluga. Launch of the 1911 TEKTON collection. 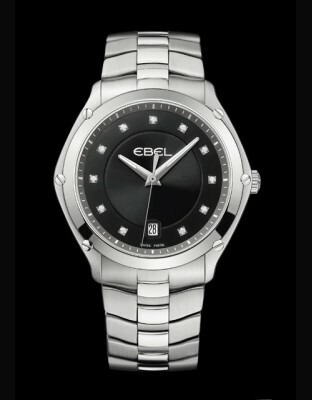 Ebel becomes the Official Timing Partner for FC Bayern Munich, Ajax Amsterdam and Glasgow Rangers football clubs.